1. You can get away with not wearing pants, like, ever. Hat tip to all the skirts and dresses of the world. 2. And speaking of clothes, men pretty much just have pants, shirts, and ties. You’ve got capes and jumpsuits and minis and crop tops and midi-pants and—well, it’s a party in your closet. 3. You can grow a human! 4. Also you can choose whether and when to. 5. You’ve got a killer immune system. Scientists have found women are less likely to get there male partner’s cold that he is to get yours. Sorry boys. 7. You can bounce the baby with one arm, stir the holiday soup with the other, and keep the conference call going. it’s not “balance”, it’s life. 8. Betty White! Proof that at 92, women still have it. 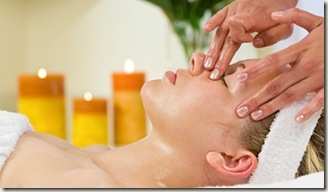 Now Welcoming Lipo For You to One Salon! Lose 2-8 Pant sizes in 5 weeks. Simple as that. Lipo for you is a nonsurgical/non-invasive procedure that uses low-level LED light to mainly target the abdomen and thighs, breaking down fatty tissue to reduce fat and cellulite. You can also spot reduce any problem area! No pain, no fad diets, and no impossible exercises. For a limited time your first session is only $67, a $250 value. Call 630.272.9908 for more information or to schedule your FREE consultation today! Lash Extensions are an exciting, new product and technique for thicker, longer, yet natural looking eyelashes. Eyelashes are made thicker and longer through professional application of individual synthetic eyelash onto your own natural eyelash with a specially formulated bonding agent. Lash extensions are not strip lashes or three pronged, cluster lashes. They are individual, synthetic hairs that look just like your own natural lash hairs. 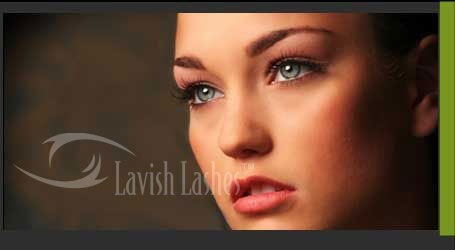 Lavish Lashes Professional Eyelash Extensions are semi-permanent, lasting four to six weeks depending on the life cycle of your own natural lashes and other factors. Though the average cycle of a single lash is about 90 days, factors such as your eyelash characteristics, lifestyle, and general care of your lashes will affect how long your Lavish Lashes last. Now Offering Copper Bowl Pedicures! Soaking feet in a Copper bowl can help to achieve a healthier immune system as well as help with joint pain from conditions like arthritis. Along with our organic nail polish and essential oils, your feet will sure be thanking you! Call Cassondra at 630-715-8423 for more information or to schedule an appointment. Although flaunted in varying iterations-from teeny-tiny braids to prepubescent pigtails-the decade marked by baggy jeans and Doc Martens is back in a big way. Well, at least in terms of beauty! What’ s old about it: Come on.. we’re talking about the ‘90s! What’s new: The past decade’s trends get a modernized update. 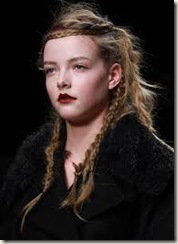 Little-girl-gone-edgy pigtails (made popular by pop princesses Baby Spice and Brittany Spears) gain traction in wilder incarnations, and hair accessories like visible hair ties and bobby pins function to soften more mature ensembles. 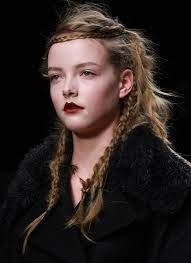 Zulu knots, braids, and visible pins have been seen on countless catwalks. Just remember to keep the look updated!